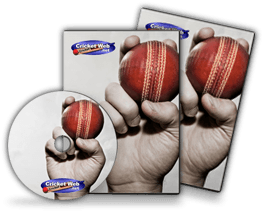 The cricket coaching genre has been dominated by the International Cricket Captain series of games and with good reason; Empire Games has produced the definitive coaching simulators of the past 10 years, remaining virtually unchallenged during that time. 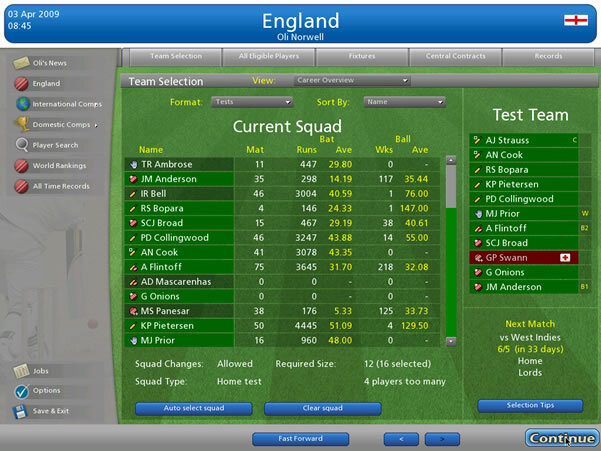 The fortunes of the series have dipped a little recently, however, as ICC 3 was released with much fanfare and an enhanced 3D match highlights engine but complaints have emanated from users regarding the clunkiness of the match interface, stability of the software, features missing from the latest version that were present in previous games and, more importantly, the realism of the matches. It’s also felt that the 3D graphics did little to enhance the game play at all being little more than a gimmick, especially since they weren’t that great anyway. The release of ICC 2009 has done much to address the realism of the matches but it’s still generally felt that the franchise’s hold on ‘best cricket sim’ has slipped a little. Enter Rockingham software and their game Cricket Coach 2007. 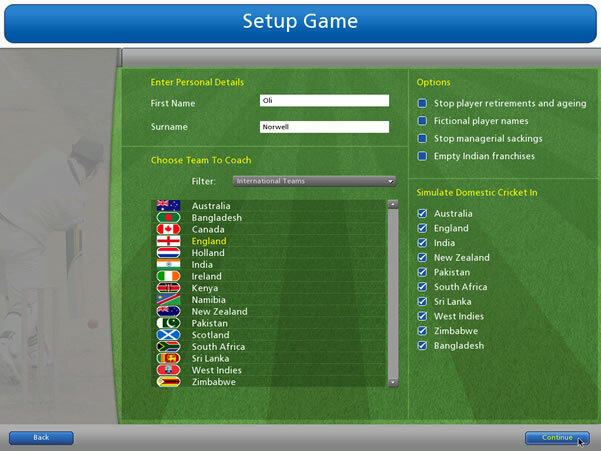 The original game’s interface was reminiscent of the earlier versions of ICC series and included all of the detail and control a cricket coaching simulator should. Many options to control the bowling and batting exist which drill down to controlling exactly how your batsmen will play against specific bowlers and vice versa, control over the field, etc. Outside of match play, you as coach were able to manage team selection, finances, squads, transfer, etc. The largest missing piece of the game was a player editor which was later released as a 3rd party add-on. Aside from that, for all its great options, the game generally lacked polish, the interface slow and the game somewhat unstable depending upon the platform. Worth buying but clearly inferior to the vastly more developed ICC line of games. Well, all the above has changed. Whilst keeping all of its great management options and the general feel of the game alive, Rockingham have loosed upon the Earth a game which competes now very strongly with the ICC series. Eschewing unnecessary bells and whistles, the interface is more professional than the 2007 game, far faster, rock-solid and still cute enough to raise a giggle occasionally. The representation of the game as its being played is good enough and comes across as zany on occasions; it was a nice touch when a wicket fell and the ball didn’t end until each of the fielders ran towards the catcher to congratulate him. Button touches are quick and responsive without the freezing evident in the 2007 version of the game. The look of the interface is far more polished and it just looks more like a game you’d be happy to shell out cash for. It’s still not quite as flashy as the ICC series but that’s not really the point. All domestic teams are included in this game so you can captain anyone and be subject to (and annoyed by) the whims of the national selectors as they pilfer your team just when you need a win. You have full options over managing your finances/imports/young players but, most importantly, there is a player editor. Pitting your mates XI vs international teams is great fun. Player lists are complete right down to fringe domestic players and the data-driven nature of this game means that player ratings are updated regularly as their careers progress, providing a real-time career progression for all players.. This is one area where Cricket Coach has it over the rest of the pack and should continue to focus on this as the series’ point of difference. The point of a game like this is that it’s for the nerds. There really is a ridiculous number of options for control over a season/match/innings/over and they all have consequences, desirable or not depending on your team’s fortunes. From this perspective, Cricket Coach’s stripped-down approach achieves exactly what it set out to achieve without, I believe, the ‘wow’ factor being present. It still has the feel of a game developed by hobbiests but once you get past that, it’s clear this is a game for the cricket tragic and genuine strategists/statisticians amongst the cricketing population. Special mention has to go to the Cricket Coach online forum where fans of the series have direct access to the game developers. All bugs are reported here and acknowledged if not directly acted upon by developers who clearly take pride in the realism of their product. This community interaction is unique to Rockingham software and shows off their end-user focus. As for the gameplay, the representation of the match is fairly basic with the sounds more for effect than for a truly immersive experience. You can watch and control every ball or speed up play and interject at key moments. This feature a vast improvement on the 2007 game where sometimes, it would race along at break-neck speed and before you knew it, you were all out and 15 overs into your opponent’s innings. The realism of the simulation seemed reasonable enough but I think there’s too much of an advantage in the ‘all-out attack’ option for the pace bowlers as wickets do tend to tumble too easily. The bowlers don’t tire too quickly in this mode too so Shoaib Akhtar can bowl full out for a 12 -over spell which doesn’t, obviously, reflect reality! In the matches I simmed, there also seemed to be a few too many dodgy LBW decisions where the ball had been edged. All that said, the quirks didn’t inspire the same incredulity at rather inconvenient collapses/ridiculously high scores as the ICC3/2009 did so the simulation engine, whilst not without quirks, appears about right and will hopefully keep getting better as the model is refined. The overall presentation of the game, to be brutally honest, is still is one of a smaller software outfit. The Web 2.0 look of the buttons is a vast improvement on the 2007 incarnation but still gives the appearance of a web-based game, especially with the oh-so-2002-Flash animations of the umpires and in-game graphics. Only when you start to tinker with the options do you uncover the stunning wealth of gameplay on offer here. This game as a pure cricket simulation is outstanding. Purchases of the ICC series of games were driven by squad/statistic updates (the interface barely changed until ICC 3) whereas that won’t be a factor with this game. Short of physically controlling throw-downs at a struggling player at a training session, one wonders how they could possibly improve on the gameplay or make the experience more detailed to drive purchases of future versions, especially as stability problems have been all but eliminated. For mine, Rockingham have made a rod for their own back because the game as it stands in conjunction with its player editor and regular player updates means that they don’t have too much further to go to make the perfect cricket simulation. This will make future versions a tough sell to already very pleased customers. That said, cricket simulations in general have suffered from a lack of immersion in the total coaching experience and Cricket Coach 2009 is no different. Football managers in other games have to deal with media interactions, off-field antics, etc. This is a massive opportunity for Rockingham to take the tired cricket sim model to the next level as ICC missed out with their latest version and with Empire Interactive relinquishing control of the game to Childish Things, the lag in development time for the next version has created a huge gap for Rockingham to fill. So, a game for the nerds it is and on that basis, it should be a roaring success amongst that demographic. But, although it does look and play better than the 2007 version, there’s less to attract the more casual cricket simmer. If that’s the aim then fair play to Rockingham and at around the AUS $35 mark, it’s a cheap buy. That said, it’s the same price as ICC 2009 and to the casual gamer, it may not appear to be as well-developed as ICC’s fully 3D product and very slick interface. ICC’s foray into the mobile game market with its PSP version appears to have been a rank failure so for Rockingham to attract persons outside the obvious demographic, it’ll need to enhance the immersion factor. ICC sacrificed some substance for some style and in later incarnations of the game, I expect Cricket Coach to do the same. Hopefully it’ll maintain its inner geek because the depth of the game really is stunning once you get past it’s initial presentation. Gameplay: From the perspective of a pure cricket simulation, the sheer depth is amazing. The player editor is outstanding. For overall immersion as an actual cricket coach/manager, much work is needed. 10/10 for the sim aspect alone. Overall: I loved it, will buy a copy and be a devoted fan forever. But I’m a nerd. Would love to see the next game take the genre where it seems others didn’t have the resources to go 7/10.